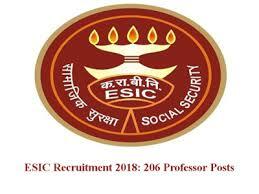 Below mentioned are the syllabus for various exams of ESIC 2019 which is in accordance with the ESIC Recruitment 2019 Exam Pattern. Arithmetical number series, analogies, analysis, similarities, relationship concepts, differences, space visualization, problem solving, decision making, visual memory, discrimination, arithmetical computations, judgment, observation, arithmetical reasoning, verbal and figure classification, relationships, and other analytical functions. Candidates will be asked questions relating to the current affaris and general awareness of the environment.